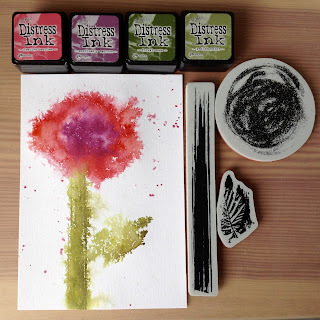 I stamped the images with Distress Inks, then lightly spritzed the watercolour paper to make the colours bleed out. Once it was dry I scribbled some outlines with a fineliner and stamped the sentiment. Pop on over to the Seize The Birthday blog for some more fabulous inspiration from the team, and play along with us. You don't have to go bold and bright, you can do any birthday project. Gorgeous! Love the image and love the border of wee polkie dots! 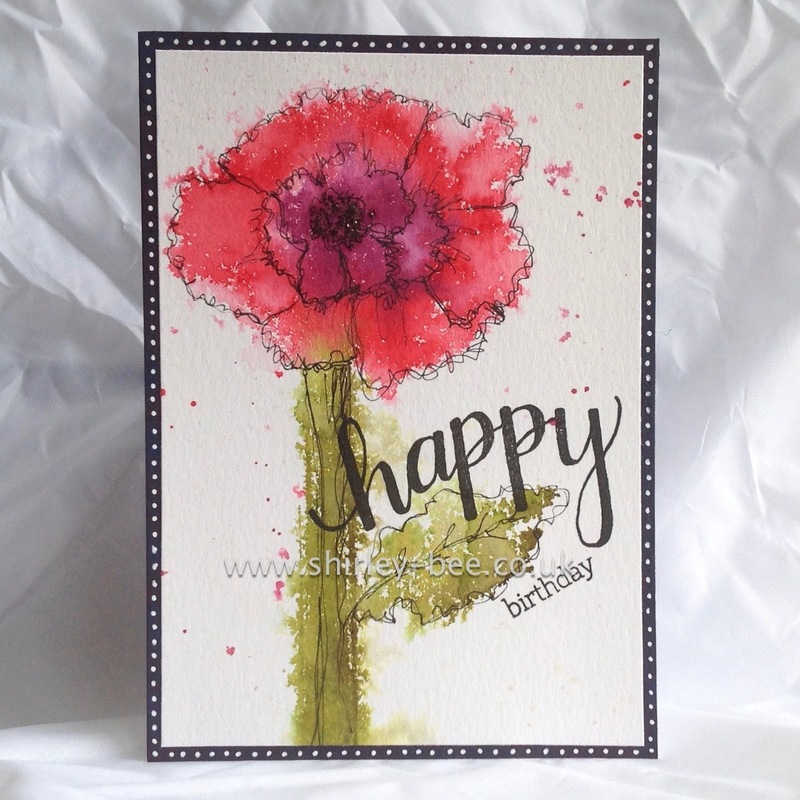 Artsy, divine, sketchy, lovely - all the good adjectives deserve to belong to this card! Well you are so clever my dear! Such an artsy and yet beautiful card at the same time! LOVE it! You are so creative, and this is beautiful! Love how you have created your lovely flower and the bold, bright colors! This is so cool! Stunning watercolouring. Great sentiment placement too. love, love how you did this mf....amazing and wonderful work. I love the water washed look...fab! !